Last year, I moved to the Southwest, and wanted to celebrate with something southwest themed. Roadrunner? Cotote? Chile pepper? Nope… I went with an 8-foot tall giant saguaro cactus. 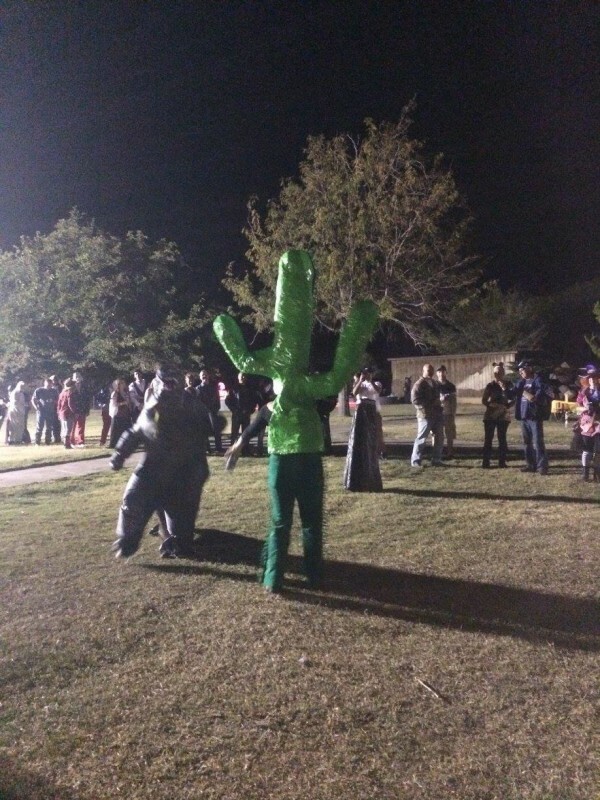 The entire homemade cactus costume was made in about 4 hours, using chicken wire and Green duct tape, plus a little weather stripping and green pipe cleaners for spines. I ended up wearing the costume for multiple events, Halloween and later in the year as well. I work for the Park Service, and move often, so the costume made it with me through multiple moves, and ended up in Moab Utah, where I could no longer fit in in my van. 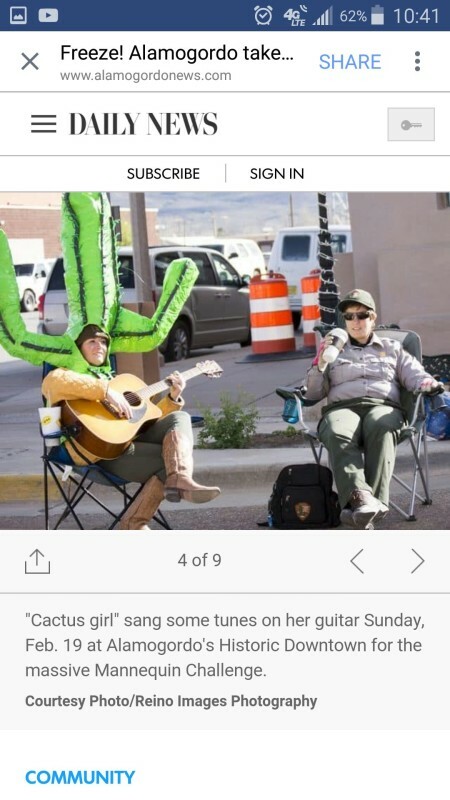 It won me multiple costume contests (especially when I danced to electronic music, stone faced, as a giant cactus…) and got me into the local newspaper as “Cactus Girl”. Very proud moment. 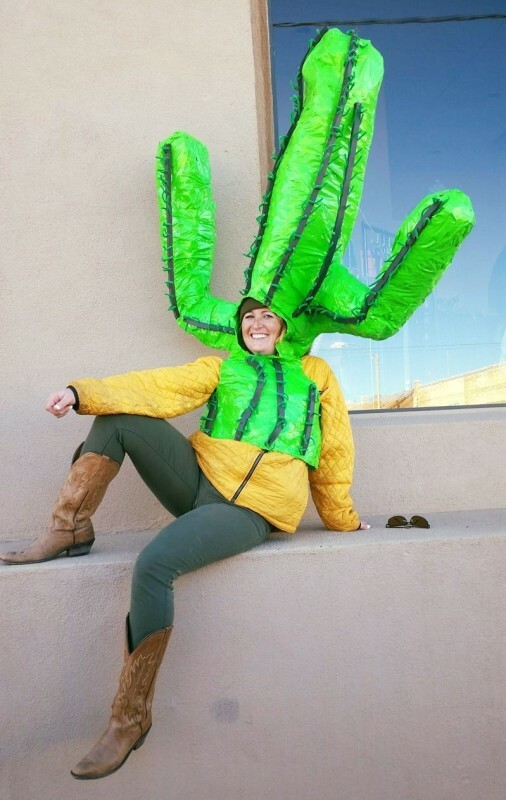 I made a giant stalk of the saguaro, using chicken wire and bailing wire… just rolled the chicken wire into the general shape I wanted, flaring out at the bottom to fit around my shoulders, chest, and made arm holes. Later, I attached two “arm” stalks, above my head, and cut out a face hole, so that just my arms and face would poke through. I used about 10 rolls of lime green duct tape to cover the chicken wire structure, including taping the inside (so I wouldn’t get stuck to the sticky interior of the tape). I made it flexible enough to fit inside of it comfortably, but tried to keep some rigid structure to keep it upright, even while I was dancing. When the structure itself was completed, I ran weatherstripping up and down the stalk as the long parts of the cactus (forget what they’re called) that the spines are attached to. I took green pipe cleaners, cut them into pieces a few inches long, and started poking them through the weatherstripping, bending them up at each side to make them spikey. This added a lot to the overall look of the cactus. The first night I wore it, I painted my face to look like the hole in the cactus, with an owl looking out. The effect wasn’t great though, so I just painted more spines on my face the next time I wore it. This ended up being an amazingly fun costume. 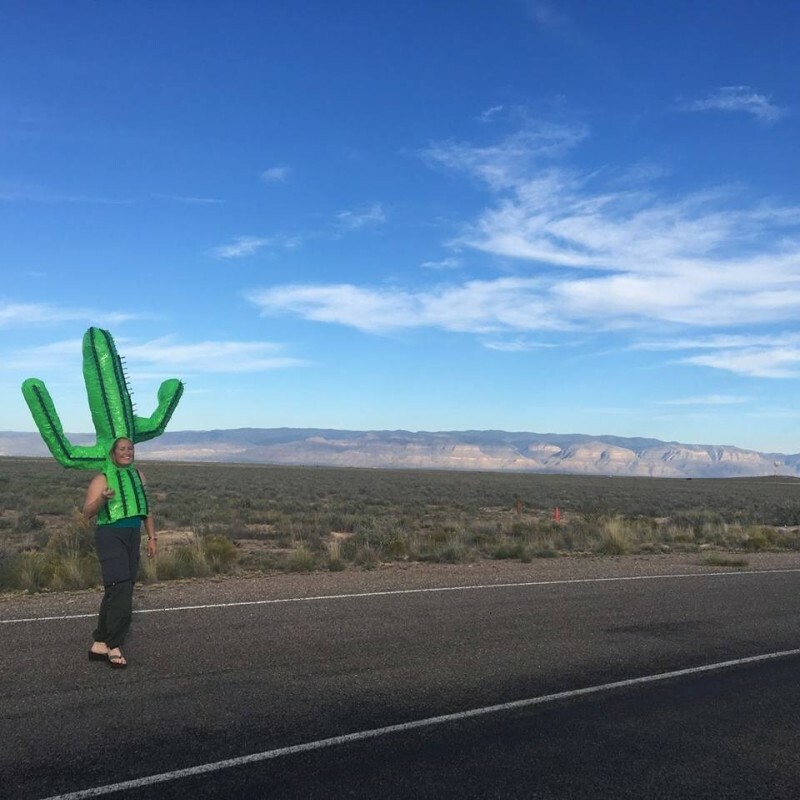 I wore it for other events sometimes, and even walked down the entrance road to my desert National Park and almost died laughing as visitors reacted to the giant homemade cactus costume walking down the road. Great fun. I highly recommend it. In the future, I’ll probably make all of my costumes out of chicken wire and duct tape. It was easy to do, inexpensive, and limitless as far as making large shapes. Still brainstorming for this year’s costume.